I have been driving Maruti Alto for the last 4 years and before that I have driven the great 800 for 2 years. Alto can be said as the best successor of 800 and it has replaced the old 800 with modern technology and advancements. Car comes in the price tag of 2.4 lacs; a very reasonable price in today’s age of heavy input prices and Maruti has maintained the price levels so efficiently without putting excess pressure on the consumer. Alto comes fully loaded with a highly efficient 796 cc engine that gives good power and great fuel efficiency of close to 16 to 18 in city and 20 to 22 on highways. Nobody can even touch her when it comes to durability and performance. Car runs very smooth and it a best city conveyance very easy on turns and its turning radius is the least in all hatchbacks. Tyres are broad and provides good grip over the road. Suspension is much on the softer side and keeps the interiors very soft and fluffy. Interiors are very well designed. Front console is very cute. Steering is very soft and easy to handle and now Alto comes with a powerful K 10 engine which gives good power and handles the a/c very efficiently keeping the interiors chill without any power lag (the problem I face in my Alto). Now it comes with power steering, brakes and windows. It’s a best value package that gives good looks, nice space, stylish interiors and long term commitment of tension free comfortable ride with very low maintenance cost and best in class after sales service that’s the reason of its immense popularity. 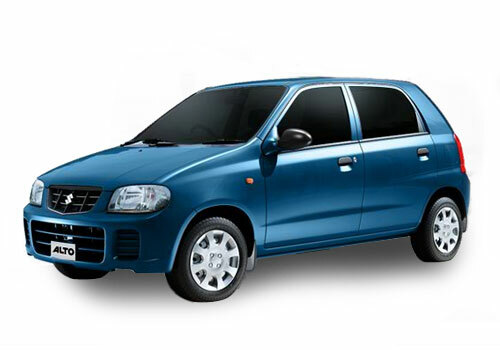 Maruti Alto is first choice for middle class person, because its provides all necessary features in affordable price tag. My Alto gives me a good fuel efficiency and smoothly drive in city roads.